"I Tell you, It's not an easy job suppressing the forces of truth and justice." 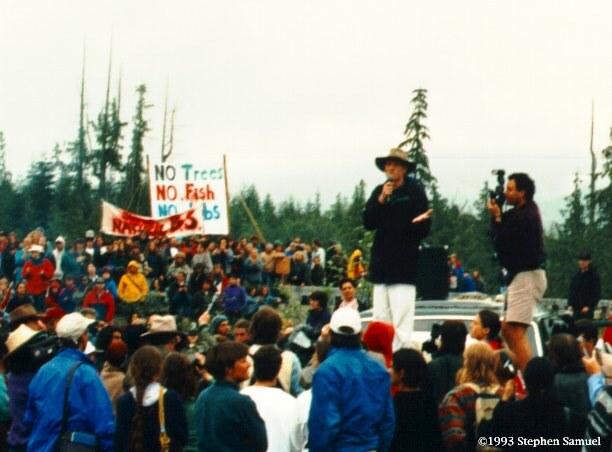 Lubicon natives negotiation archive -- Indications of how nasty the Canadian and Alberta governments and large companies can be when negotiating with Indian nations. In the meantime, renters in Vancouver's prestigious Point grey scream racist chants about being forced to pay market rents for their half-acre lots to their indian landlords. 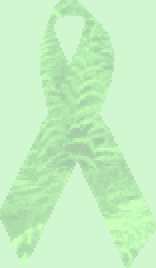 Given that I ran for The Green Party twice in '96, I figure I should have A link to their web page here. 01/2003 Watching the History Channel, I just realized that one of the flag-raisers at Iwojima (2nd world war) was probably a wind-talker. A company is giving away free bar coders and then threatening to sue people who release the source code allowing people how to use them in interesting ways. This is one response. Pet-killing pot scrubbers -- a warning. Jan. 1999 -- A short rant on the Musqueam rent fiasco. There is now a petition available to support the people (esp. those on hunger strike in jail) who have been jailed at the Houston Mud-flats in BC for defending their environment. 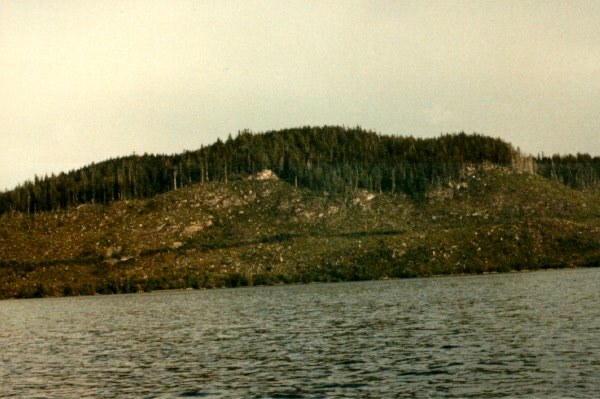 The 'last' will and testament of a gustafson Lake defender. Robson Media Event A Vancouver Sun article (also printed in the Globe and Mail) described the native speakers/protestors at this event as 'Incoherent'. This is a transcript of the supposedly incoherent statements. Gunakidait -- speaks of how this relates to the Alaska situation. I also have a tabulation of the election results in a form that should be friendly to spreadsheet analysis. They may be able to ignore a government prosecutor's claim that there's no unfabricated evidence against him. They may be able to deny him parole because he won't explain why he's guilty. but they can't deny him the right to run for president. 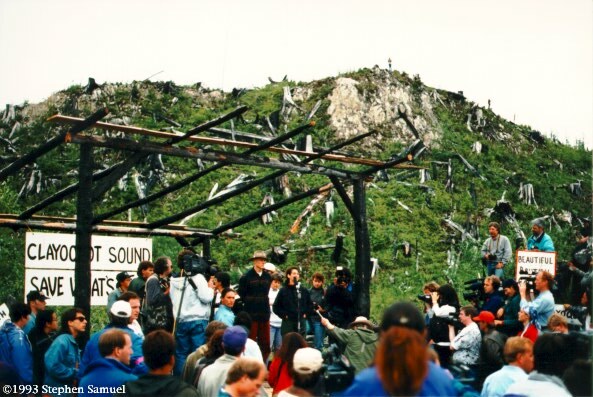 Nuxalk Trial -- Nuxalk natives and supporters were scheduled for trial, the week of Jan 22, 1996 in BC Supreme Court for protecting one of their sacred sites being logged by International Forest Products. They did not return to court and bench warrants have now been issued for their arrest. They have issued a press release about their stand. Under construction -- If you know of events which are worth adding to this list, please contact me. Martin Luther King's "I have a dream" speech. Peaceful Action Workshop handout this is a recreation of the handout used at the Peace camp in Clayoquot Sound. note: it's a 600K RTF file, including a picture. One Law Thoughts on the history of Indian land claims. 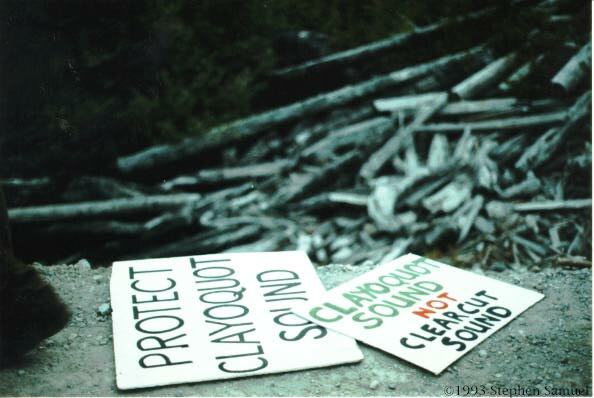 The interim (May/94) Clayoquot Scientific Panel report. The final (June/95) report is not yet available online. 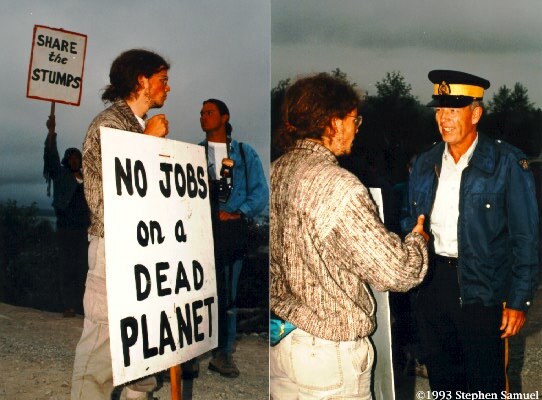 Some firsthand comments from participants in Midnight Oil's July 1993 concert in Clayoquot Sound. The Poem of Solomon modified to fit the history of Clayoquot Sound. some general notes on overlogging in B.C. 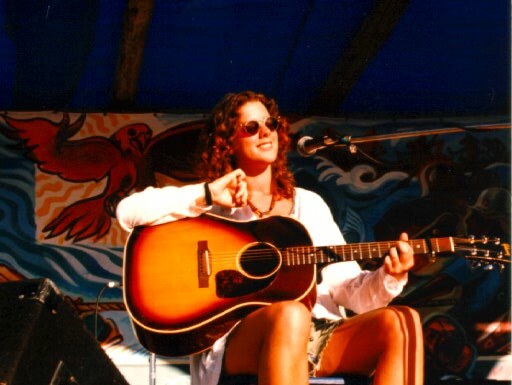 Sarah McLauclin does a performance at Clayoquot Days (1993)(two pictures). The Lubicon web page is kept up by the Lubicon themselves. 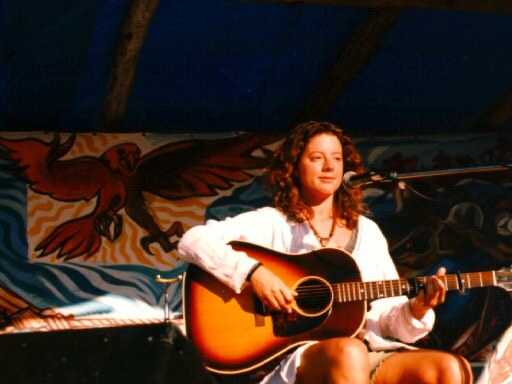 Archives of the Friends of the Lubicon are also available. note: This probably originated as a research project.. this link may (will?) change.. again. Centre de Recherche en Droit Public at University of Montreal should have a pointer, though. The Supreme Court of British Columbia (and court of appeal) now have all written reasons on line. Virtual Clayoquot(dead) -- A production of Bayside Middle School, near Victoria B.C. where one class has investigated the controversy surrounding Clayoquot Sound for the school year. Ehernet MAC address and link layer information tables . Florida to execute an innocent man? Ricky Roberts was scheduled to die Friday Feb 23, 1996. Cat washing as a martial art.